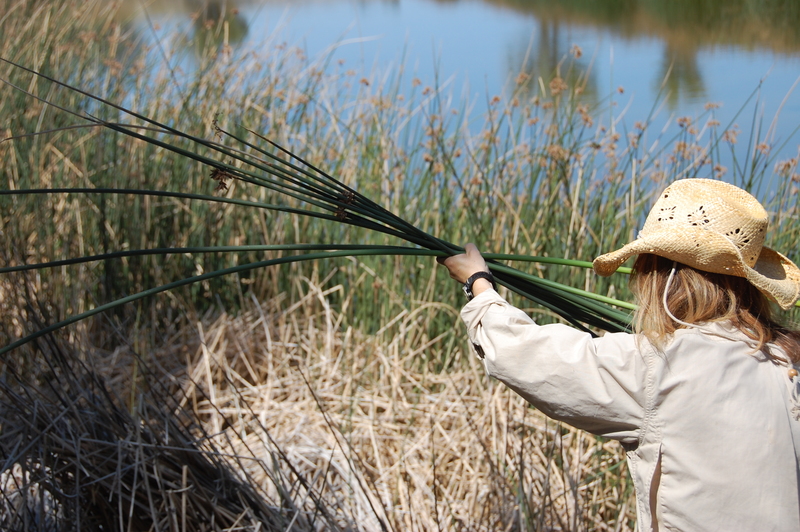 Tules are tall marshland reeds; they’re fat and spongy. Cut one open and you’ll see the network of air pockets that offer excellent flotation and workable structure. 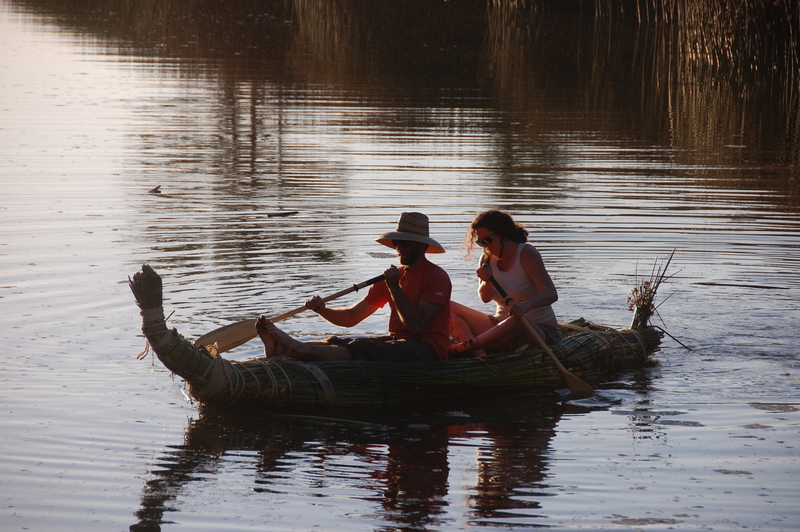 When bundled together tightly with rope, they may be molded into a beautiful and functional boat. 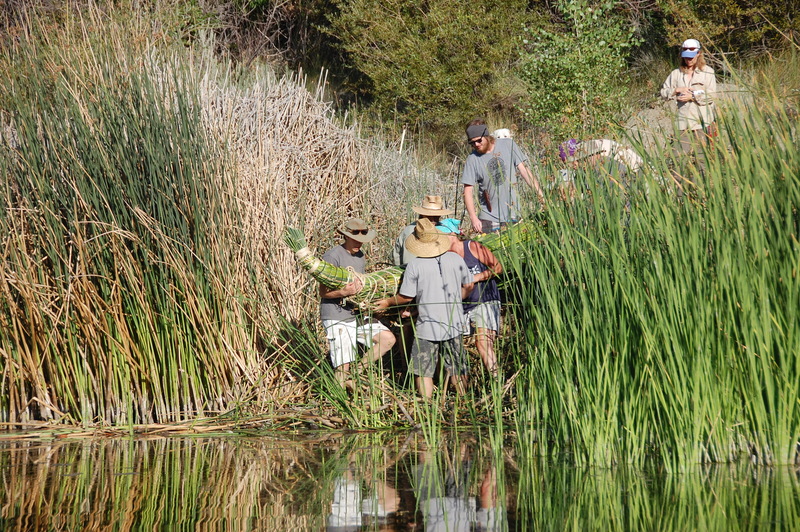 At a recent gathering at Caldwell Lake, in Valyermo, CA, Jim Robertson leading 12 students did just that. They began work at a civilized hour in the morning. 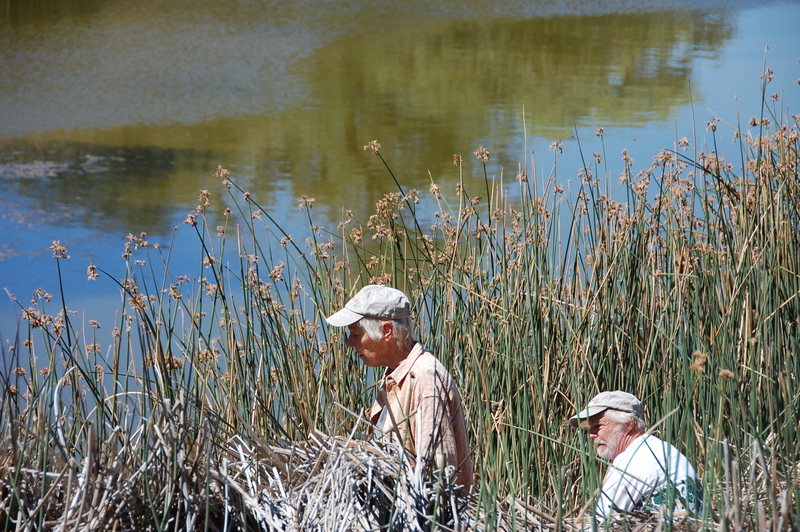 With knives they waded into the soft edges of the lake and harvested a large pile of green tules. They tied together bundles whose diameters were similar to those of watermelons. 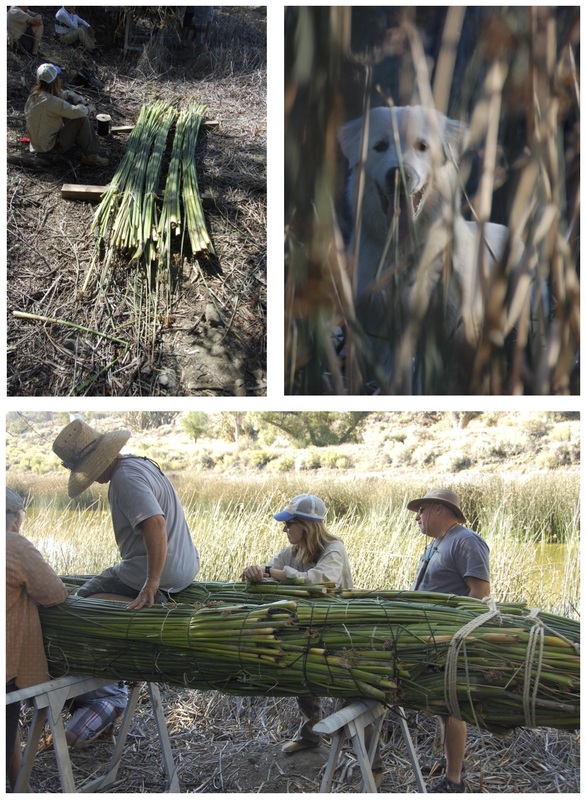 Then working on sawhorses, they lashed the bundles together with jute rope around a couple of willow branches for structure. A large needle was fashioned out of a slender steel rod for large-scale sewing; it handily pierced bundles to draw through nylon parachute cord. 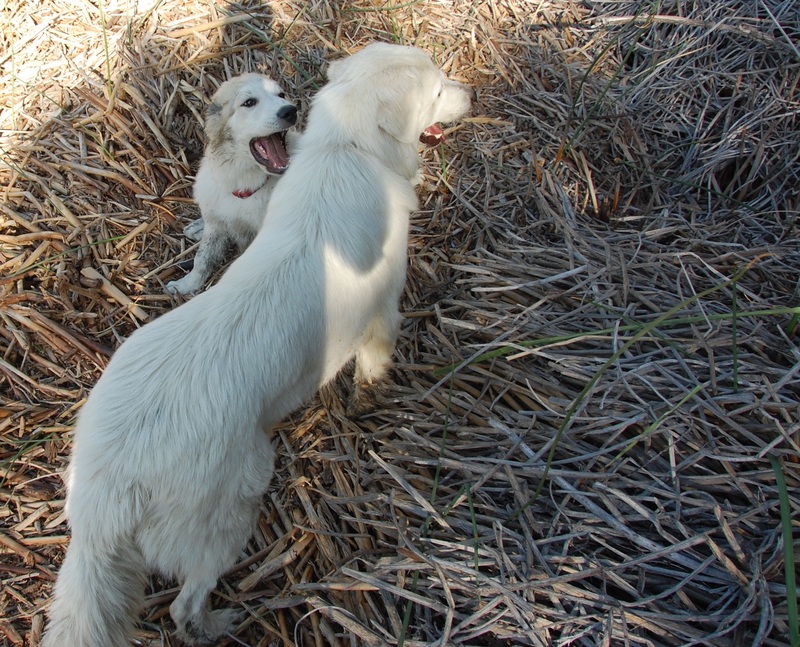 Two Great Pyrenees puppies wrassled nearby. Robertson and his disciples finessed the shape, bending here and there to form a cockpit; the bow was curved gracefully skyward and a jaunty stern decorated with a spray of tule blossoms. 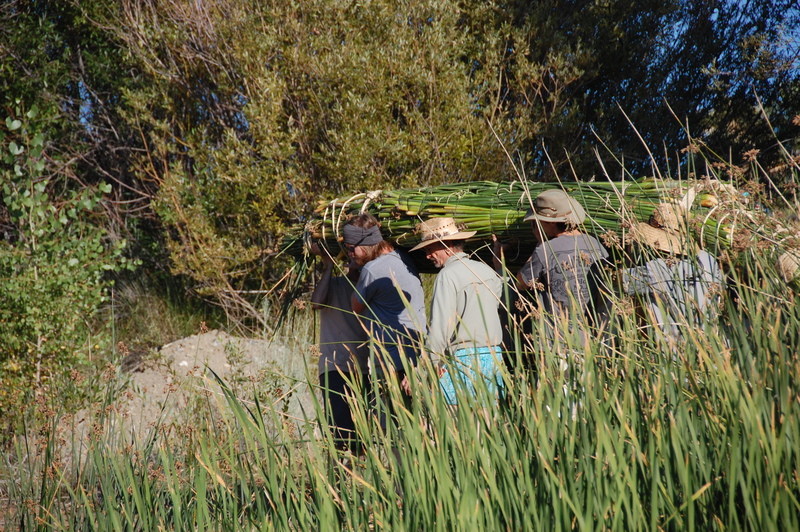 By evening, it was ready and the boat was hauled on shoulders to the water. As the group watched with pride, the canoe bore its first passenger steadily onto the pond. It was supernatural: a ghost ship –– and nature heightened. 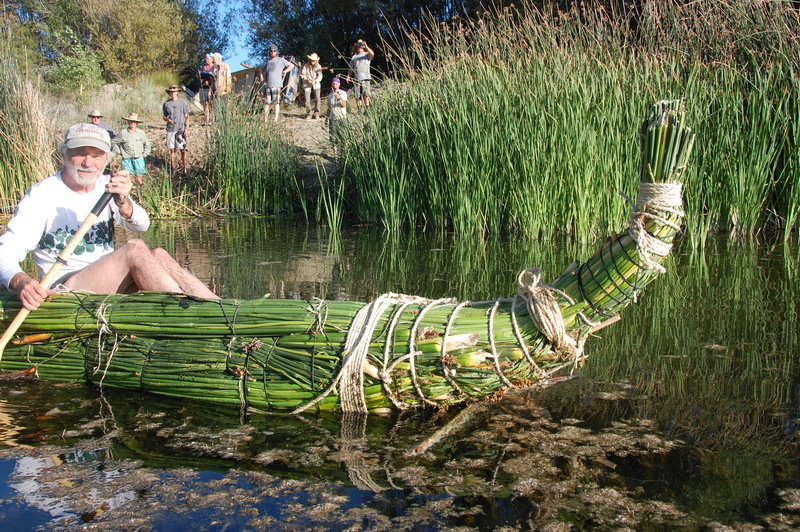 A tule canoe emerging from the tules. One-by-one each builder took a turn; then bolstered by success, two-by-two until dusk fell. 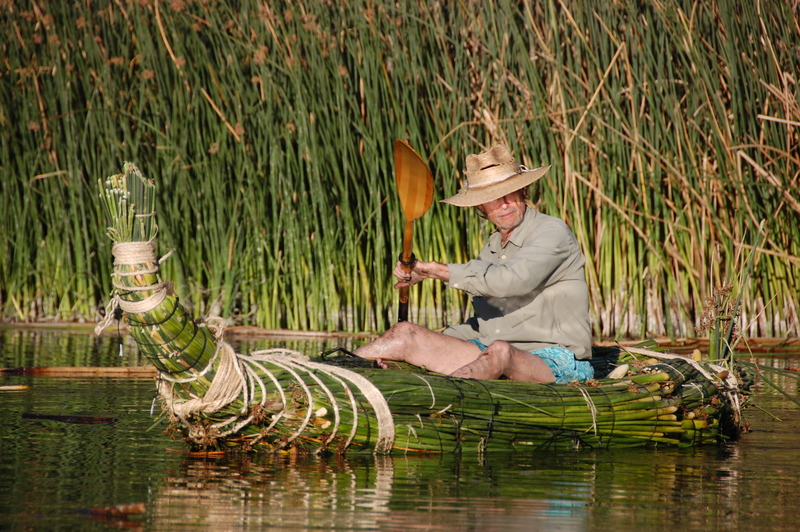 Jim Robertson teaches primitive skills and survival techniques in Southern California. Very good Daniel, thank you! 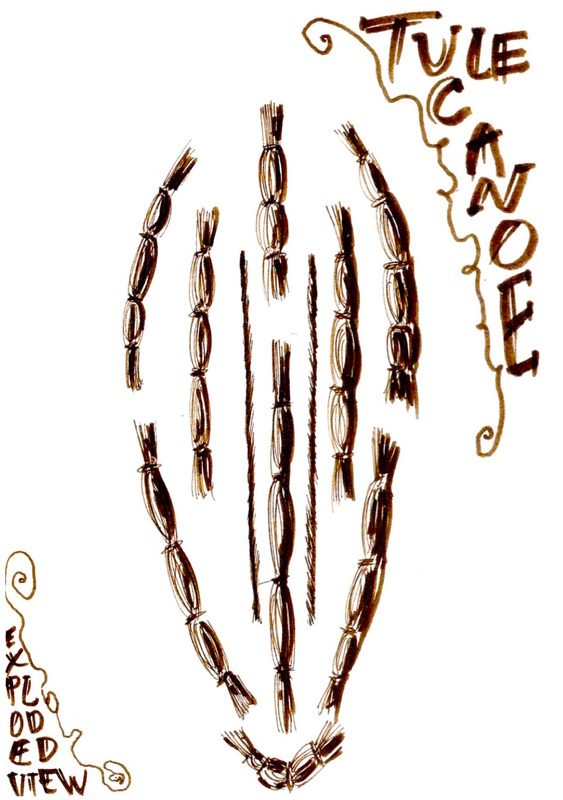 When the Tules finish their life as a canoe … they harmoniously go right back to the earth, continuing the circle of life … no pollution.